OTTAWA - Efforts to combat citizenship fraud are creating lengthy backlogs for would-be Canadians while only slowly weeding out bogus citizens, statistics from the Immigration Department show. 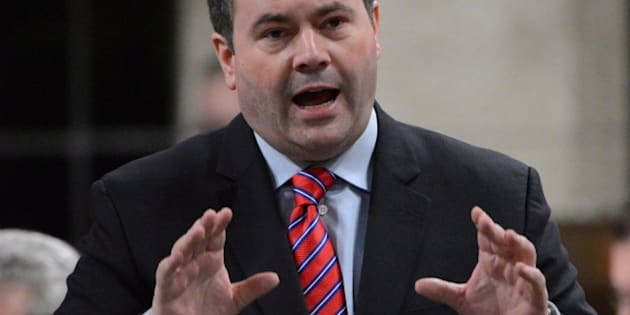 Last fall, Immigration Minister Jason Kenney said the government had already revoked 19 citizenships from more than 3,000 people under investigation for fraud since a crackdown was launched in July 2011. But his department now acknowledges only 12 of those revocations were explicitly connected to the fraud investigations. And of the 3,000 suspected fraudsters, only 286 have actually been found by the department and given formal notice that their citizenship is on the line. Ninety per cent have responded with notice of their own that they intend to appeal to the Federal Court, the Immigration Department says. Hundreds more letters are in the process of being sent out to notify people their citizenship is at risk, said a spokeswoman for Kenney. "The process to revoke citizenship is lengthy so it will take some time to revoke the citizenship of thousands of people, considering the process started only a year and a half ago," Ana Curic said in an email. "But no matter how long it takes, we will ensure that the full strength of the law is applied to anyone who lied or cheated to obtain Canadian citizenship." A citizenship fraud tip line set up in conjunction with the crackdown has so far received more than 22,000 calls, but has resulted in only 132 referrals for investigations. "While the number of calls received continues to increase, the majority of these calls are not related to citizenship fraud," say minutes from a steering committee meeting, obtained through the Access to Information Act. The number of revocations in the last 18 months do represent a historical increase; the department says that between 1977 and 2010, only 66 people lost citizenship. Once a person is notified the government wants to revoke their citizenship, they can ask for a Federal Court review. If the court sides with the government, the decision must still be approved by cabinet. A tally of orders-in-council show at least 22 citizenships have been revoked since July 2011, but no names or details are revealed because of protections under the Privacy Act. Currently, grounds for revocation are limited to instances where citizenship is obtained by fraud, false representation or deliberately hiding information that could have affected a person's eligibility for permanent residency or citizenship. There is no time limit on the process and the criteria have often been used to revoke citizenships of war criminals. In 2011, the Federal Court heard the case of a Bosnian man believed to have abused prisoners during the Balkan war. The court ruled it would be legal to strip him of citizenship on the grounds he had lied about his past to settle in Canada. Late Wednesday night, the House of Commons voted to move ahead with a Tory private member's bill on citizenship that is likely to be amended to give the government the ability to revoke the citizenship of dual nationals convicted in terrorist activities abroad. The issue arose after a Lebanese-Canadian was identified in early February as a suspect in a Bulgarian bus bombing. It's believed the individual hasn't lived in Canada since he was a child. Making it tougher to obtain citizenship has also been part of the government's efforts to combat fraud, with several new rules and procedures instituted in the last two years. Those, along with a 30 per cent surge in applications, budget cuts and citizenship judge vacancies have combined to create a serious backlog. As of Sept. 30, 2012, there were 319,517 applications for grants of citizenship to be processed, department figures show. But the department only has enough funding to process about 160,000 applications a year. Further delays have been created by an increase in the number of residency questionnaires now sent to prospective citizens, which require additional information to prove applicants have met the threshold of spending at least 1,095 days in Canada before they apply. New language requirements may also slow things down, the departmental minutes suggest. The notes say the department has to adjust to the new rules. "If we react too quickly we will not be able to see if the upfront measures will create efficiencies later in the continuum. It is important to keep in mind that we are doing this upfront work to avoid bringing files to revocation." Departmental spokeswoman Danielle Vlemmiks said the new language requirements actually make the process more efficient, as applicants have a clear standard to meet and know they'll have their applications returned if it isn't. She also noted that the ability of officials to now return incomplete applications, as well as the decision to place a limit on how many times a person can miss an appointment with judges should help streamline the process. The department committee has also recommended video interviews for would-be citizens, the use of Order of Canada recipients instead of judges for ceremonies and more mega-ceremonies as solutions to the backlog. "The government remains committed to finding ways to ensure timely processing of applications and it is actively reviewing citizenship program delivery systems to identify more efficient processes, reduce backlogs, and improve processing times," said Vlemmiks in an email.